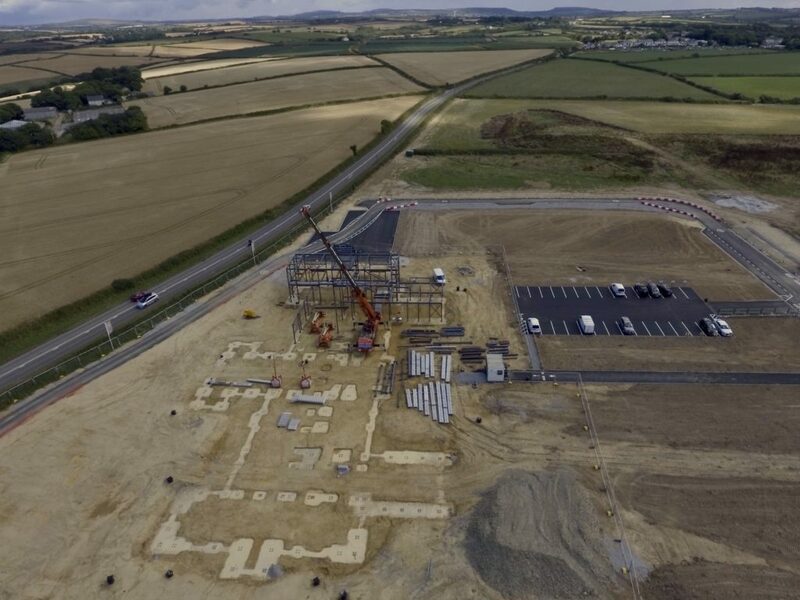 Work is well underway on a new 14-classroom primary school at Nansledan, the Duchy of Cornwall’s extension to the seaside town of Newquay. 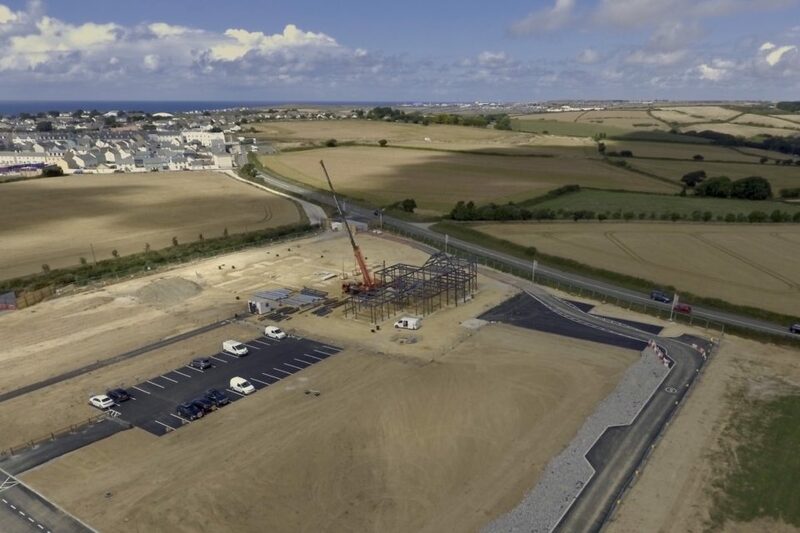 In just a matter of weeks regional contractor Midas Construction has cleared the 4.7 hectare site, built all sewers and foundations, almost completed the car park and access roads and erected the steel frame ready for first floor works to start. The school will be operated by the Aspire Academy Trust and will cater for around 420 children. It is due to open in September 2019. The name of the school, Skol Nansledan, was unveiled by HRH The Duke of Cornwall earlier this year. Skol means school in Cornish – fitting in with the theme of Cornish names throughout Nansledan. Designed by Francis Robert Architects and Alan Leather Associates, the hall at the centre of the building is the main focal point, flanked by classroom wings at either end. The school will be within easy walking and cycling distance of the whole of Nansledan to reduce car usage and encourage healthier lifestyles. To reinforce the sustainability ethos of Nansledan, the grounds will include an orchard and allotments where children will be taught about the source of some of their food. Other facilities will include sports pitches and outdoor play and teaching areas. 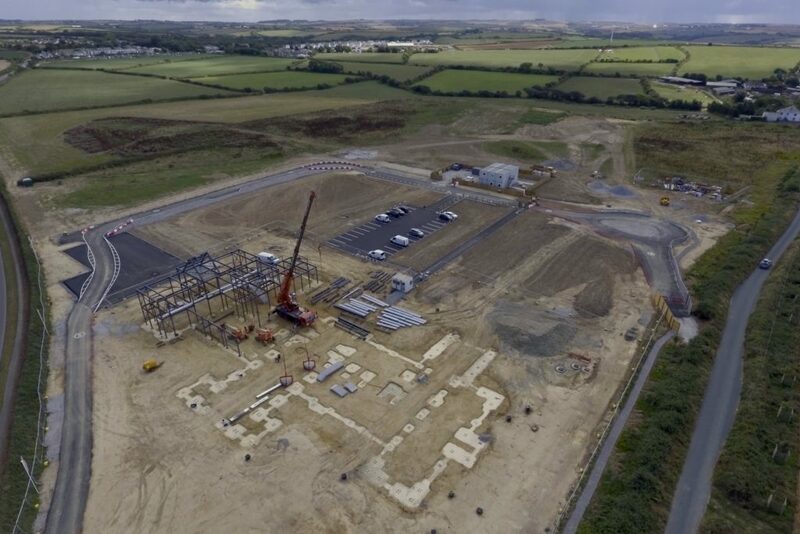 It is being built by a consortium of South West building companies including Wainhomes, CG Fry & Son and Morrish Builders.